Aviation pioneer Glenn Hammond Curtiss retired to South Florida from Upstate New York at almost the same moment the Florida land boom was really booming. He and his business partner, rancher James Bright, formed the Curtiss-Bright Company to deal in real estate. 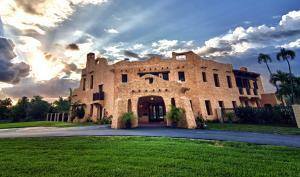 The partners began amassing vast acres of very cheap Florida land just a Northerners were discovering Florida’s fun in the sun away from snow and cold. The partners’ first venture was developing a segment of their ranch land that they called Hialeah. The recently dug Miami Canal, now the Miami River, provided grading for the new city from the spoil-banks. Lots sold faster than the streets could be built, and the partners could hardly believe it when they sold $1 million worth of lots in just ten days. Hialeah was incorporated in 1921 and the partners provided land for a town hall, schools, churches and a golf course. Curtiss built his first Florida home in Hialeah, and invited his half-brother, Carl Adams, and other members of the family, along with friends and business associates to join him. Many took advantage of the offer and formed the “Curtiss colony” in Florida. The partners were approached by dog and horse track promoters to further entice newcomers to Florida. Hialeah became a prohibition-era attraction for some rather shady characters, and Curtiss looked across the canal to develop his dream of a “residential paradise,” with parkways, winding streets and “a rolling golf course” as its centerpiece. Curtiss named his paradise Country Club Estates, and moved his family across the bridge into his dream house, “Dar-err-aha” or House of Happiness – now known as the Curtiss Mansion. Curtiss had encountered members of the Seminole Tribe of Florida on the Miami River and struck up a friendship. When it came time to build his golf course, he contacted the Tribe and hired them. 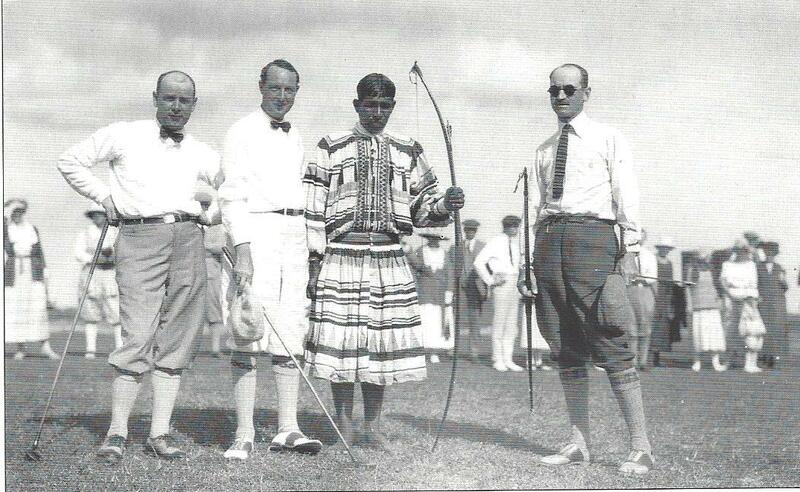 Curtiss was not a golfer because the game was not fast enough for him, but he and the Tribe invented archery golf, which thoroughly entertained him. In the late afternoons before heading back to the reservation, Curtiss would meet the Indians on the course and shoot arrows from hole to hole. He often enhanced the game by hanging $20 gold pieces in bags in challenging locations. If anyone could shoot through the hoop holding the bags, he was awarded the gold piece. There were some very talented archers by the end of the experience. Wells near the shore were yielding water so brackish that it was apparently unfit even for bathing, much less drinking. Bright had discovered an artesian well on his ranch, so Curtiss decided to test the new golf course grounds and found pure water with no hint of salt. Problem solved! The partners sold the golf course and its water rights to the City of Miami for $1, and the city’s future water supply was assured for years to come. Country Club Estates was incorporated on August 23, 1946. In deference to the pure water supply, residents voted in a 1930 referendum to change the name to Miami Springs. Ninety years later and the wells are still supplying water for parts of Miami-Dade County. 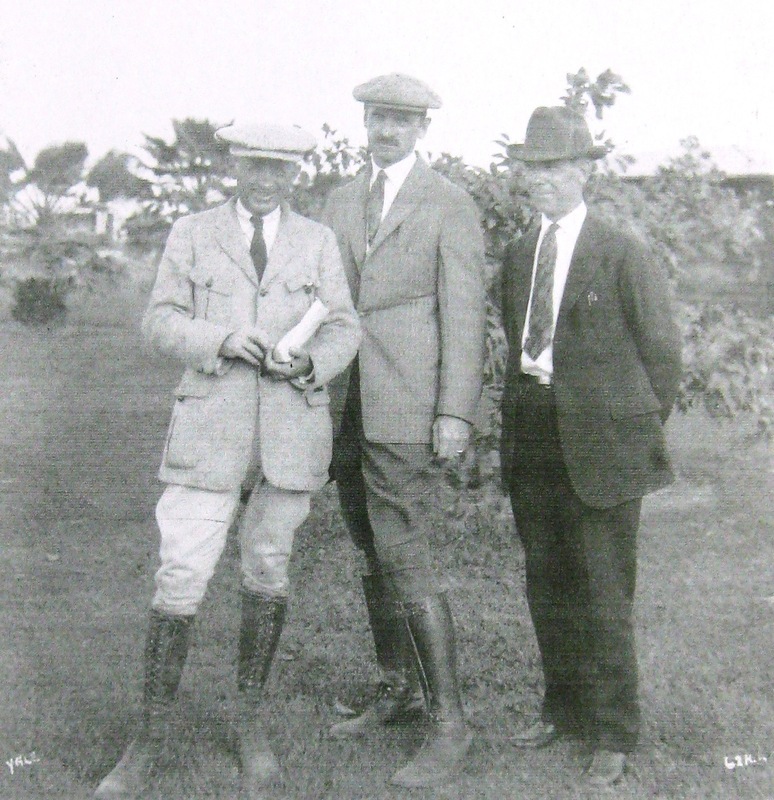 Business partners James Bright and Glenn H. Curtiss with resident Art Stanton standing on property owned by the Curtiss-Bright Company that was to become the City of Hialeah. Glenn Curtiss with Seminole Tribe member on the newly-completed golf course in Miami Springs.